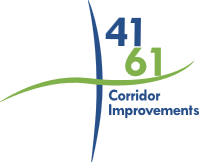 Carver County and the Minnesota Department of Transportation (MnDOT), in partnership with the Cities of Chaska, Chanhassen and Carver, are working together to identify transportation system improvements on County State Aid Highway (CSAH) 61 and State Trunk Highway (TH) 41. These corridors serve important roles in connecting the southwest metro area and providing access and connectivity within the local communities they serve to move pedestrians, automobiles, transit, and freight users alike. The current project focus is on Downtown Chaska which will be followed by study of the broader corridors. Project recommendations are anticipated to be completed in 2017. Reconstruction of Highway 61 , from Highway 41 to Fire Lane slated for completion in the next 10 years.